An Old Fashioned Gingersnap Cookie with that classic taste everyone loves. Crispy on the outside and slightly chewy on the inside with a pleasant, spicy flavor. Just like your grandma made. 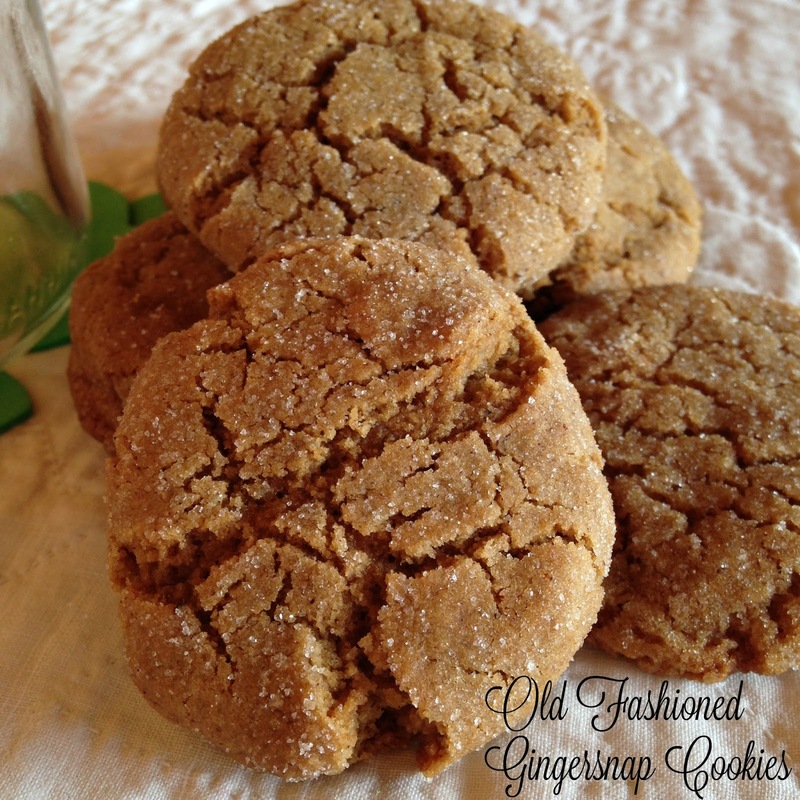 Not only are Old Fashioned Gingersnap Cookies delicious with a glass of milk or dunked into a mug of hot coffee, gingersnap cookies make an excellent cookie crumb crust for cheesecakes and ice cream pies. 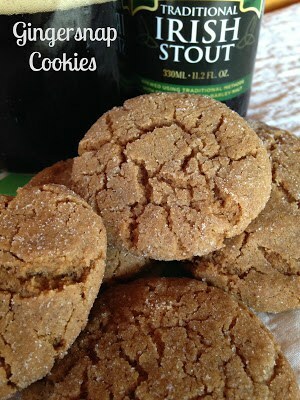 Old Fashioned Gingersnap Cookies and beer go excellent together! Don’t believe me…give it a try. Gingersnap cookies go well with any dark, traditional style Irish Stout Beer. 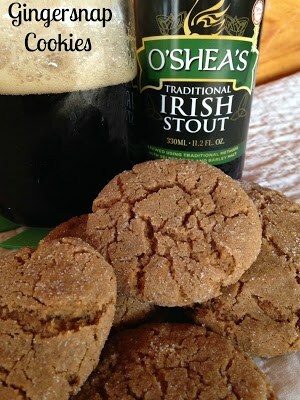 The malty, molasses flavor of a stout beer go excellent with molasses cookies. This strange combination is sure to please even the traditional beer drinker. In a medium bowl, whisk together flour, baking soda, ground ginger, cinnamon, salt, ground allspice, ground cloves and minced crystallized ginger. In a large bowl, beat together the shortening, butter, brown sugar and sugar. Beat on medium speed until light and fluffy, 3 to 4 minutes. Add in the molasses and egg, beat until well incorporated. Add the flour mixture by scoopfuls and beat until combined. Place the 1/4 cup of sugar in a small bowl. Roll the dough into balls that are 1-inch in diameter, then roll in sugar. Place 12 balls on a baking sheet 2-inches apart. Bake cookies 9 to 11 minutes. Remove to wire racks to cool. To get that classic crinkle look on the tops of your gingersnap cookies, after 9 minutes of baking, lightly press the puffed tops of the cookies with your fingers and bake 1 to 2 minutes longer.